In a tense and emotional meeting Monday morning, former Pixar and Disney executive John Lasseter asked Skydance Animation employees for a chance to show that he’d changed his ways, after multiple women accused him of inappropriate workplace behaviour at his old job. The hour-and-a-half meeting at Skydance Media’s Mid-Wilshire offices came just days after the company’s chief executive, David Ellison, shocked the industry by hiring Lasseter as the new head of its budding animation division. The computer animation pioneer was pushed out of his duties at Pixar and Disney in June, following a prolonged leave of absence in response to what he characterised as “missteps.” Lasseter, the former chief creative officer of Pixar and Walt Disney Animation Studios, oversaw the creation of family blockbusters such as ‘Toy Story’ and ‘Frozen’. Lasseter’s appointment at Skydance sparked fierce protests in the entertainment industry from people who work in animation, as well as prominent groups such as Time’s Up and Women in Film. Women have accused Lasseter of inappropriate touching, overly intimate hugs and comments that made them uncomfortable. Former employees told The Times last year that Lasseter presided over a culture that made it difficult for women to thrive. Facing the 65 employees of Skydance Animation, Lasseter was asked whether he had truly atoned for his behaviour and what actions he’d taken to change his ways, according to one attendee, who spoke on the condition of anonymity. Some of the toughest questions came from younger female workers. 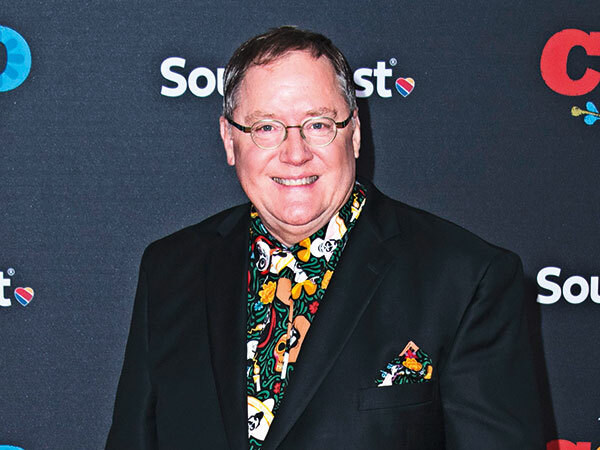 Lasseter said he was sorry for his past behaviour, and talked about working with a therapist and personal coach since stepping down from Disney, the person said. “I’m not expecting anyone to forgive me in this room,” Lasseter told staff. “But I am asking for you to give me the chance” to prove himself. At the meeting, Ellison emphasised the company’s zero-tolerance policy toward sexual harassment and acknowledged the weight the Lasseter hiring had put on employees, the person familiar with the matter said. Ellison asked employees for patience in the wake of the backlash. Ellison is the son of Oracle Corp. billionaire Larry Ellison. In a memo to employees last week announcing the hire, Ellison defended the move, saying the company employed outside counsel to investigate the allegations against Lasseter. He did not share specifics about the findings of the lawyers’ inquiry. At the staff meeting, a pair of attorneys discussed the investigation, the person familiar with the matter said. They said there had been no charges of sexual assault filed against Lasseter and that there were no settlements made by Lasseter or on his behalf. That statement, and the slim details about Skydance’s investigation, did little to assuage women in the animation industry who worry that Lasseter’s return to a prominent executive post will mark a significant setback for female employees in Hollywood after the sexual harassment and assault allegations against Harvey Weinstein came to light. Women in Animation President Marge Dean, in a letter posted Monday on the group’s Facebook page, expressed her dismay at the hiring of Lasseter by Skydance. She continued her letter by calling on studios to work harder to create a safe environment for women by hiring more female employees and executives. “Fighting to keep work environments free of predators is important, but it’s not as effective a strategy as empowering women to take care of themselves and each other,” Dean wrote.